Faith is coming back on June 7th. 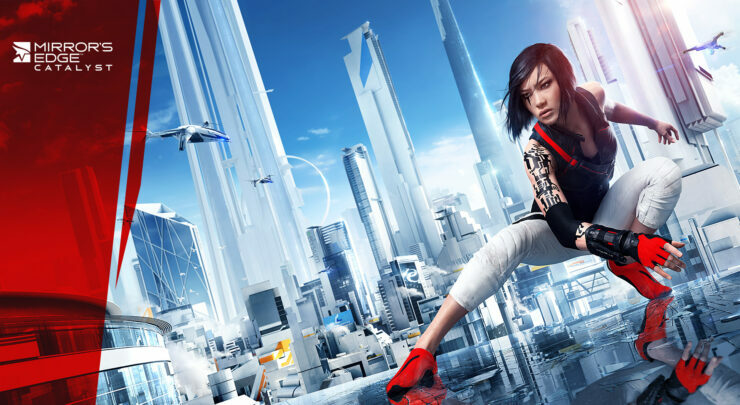 Eight years after Mirror’s Edge, Electronic Arts and DICE are about to release Mirror’s Edge Catalyst, a reboot of the franchise featuring an open world (the city of Glass). There’s a lot of learnings that, should we not build another Mirror’s Edge for various reasons — a lot of the things that we’ve done will serve as great learnings for whatever else we build. As you know, EA is pushing quite hard as a company to move into the action space. A lot of stuff like going to an open-world structure, going to a nonlinear narrative, building out characters and stories — these are things that we need to learn and perfect as a company. Sometimes, you have to look at it long-term. I hope that Mirror’s Edge Catalyst does extremely well. But in a world where it may or may not do well, it’s important for us to understand that everything that we do needs to be seen in the longer perspective. You can’t just look at it in isolation. Whether or not there’s another Mirror’s Edge is going to be up to the people out there. If we can convince them that there’s a market for this, that people want to buy it, and if they tell us they want another one, then we’ll make another one. If the answer is that there wasn’t a big enough audience, it’s too difficult and too much work goes into making a game to build a game that we know people probably don’t want. There you have it. It looks like the reception of Catalyst will be critical to determine whether any more installments will be produced. Mirror’s Edge Catalyst will be available for PC, PlayStation 4 and Xbox One. On PC and Xbox One, players subscribed to Origin/EA Access will be able to play six hours of the game starting from June 2. You can read the official system requirements here.